ABC7 is partnering with Bay Area food banks to help feed our communities with our annual food drive. More than 840,000 people from Sonoma County to Gilroy go hungry each month. That's one in nine of our friends and neighbors in the Bay Area and one in four in San Francisco and Marin Counties. Join ABC7 in helping feed the Bay Area's hungry this holiday season! 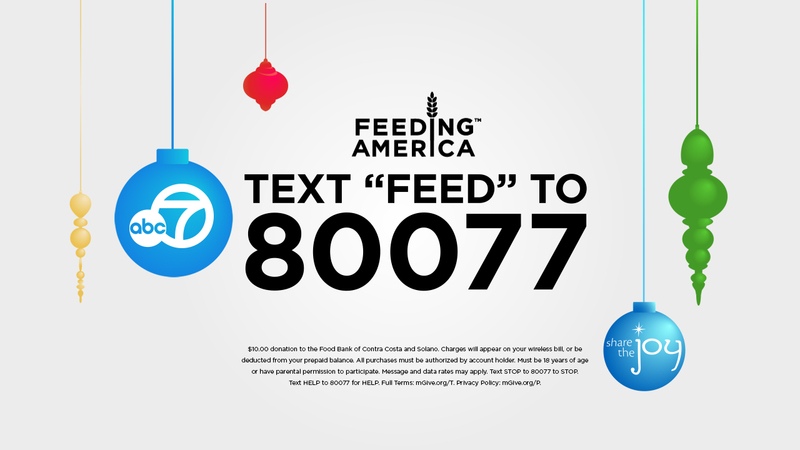 Text the word FEED to number 80077 to donate $10 to Bay Area food banks. When prompted, reply with YES to confirm the donation and have it added to your phone bill. In addition to your donations, the food banks marked below*** have been awarded with $15,000 from Disney-ABC to help provide food, including fresh fruits and vegetables, to children and families who need it most in the Bay Area. To learn more about how you can make a difference, visit FeedingAmerica.org/BeInspired. Your donations will help our local food banks. Bay Area Food Banks is a collaboration of seven local food banks serving northern California counties. Collectively they serve 840,000 adults, seniors and children each month through nearly 1,600 food pantries, children's programs, shelters, soup kitchens, residential programs, and other emergency food providers. ABC7 and Disney were proud to present a $15,000 check to the Second Harvest Food Bank of San Jose Monday. ABC7 News Anchor Dan Ashley represented the station and Disney at a ceremony to present a $15,000 check to the Alameda County Community Food Bank in Oakland. ABC7 invites you to #ShareTheJoy this holiday season. 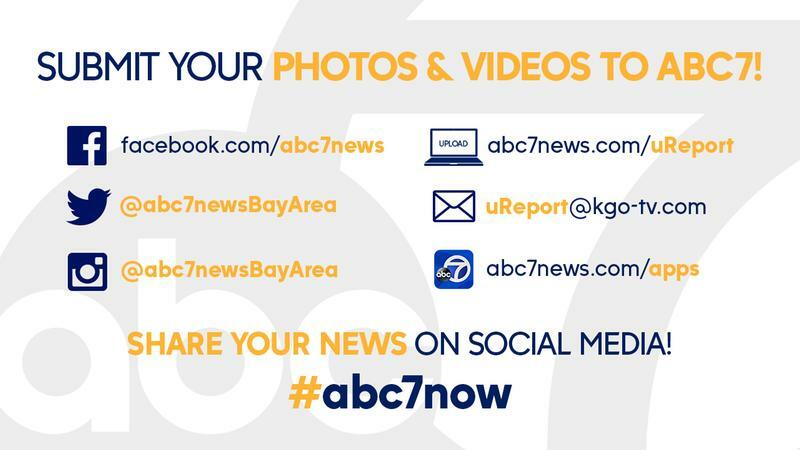 Show us how you GIVE WHERE YOU LIVE this Thanksgiving on social by tagging your posts, video, and photos #ABC7Now.